I would like to congratulate two persons I have known for many years who recently were granted awards by the Parapsychological Association. Gerd H. Hövelmann, MA, received the Outstanding Career Award and Nancy L. Zingrone, PhD, the Outstanding Contribution Award. Hövelmann studied philosophy, linguistics, literature, and psychology at the University of Marburg, Germany, and he was a Senior Research Associate at the Department of Philosophy at Marburg University (1984-1993). He is the editor of the Zeitschrift für Anomalistik, and of two collections of articles: Kramer, W., Bauer, E., & Hövelmann, G. (2012). Perspectives of Clinical Parapsychology: An Introductory Reader. (Bunnik: Stichting HJBF), and G.H. Hövelmann, and J.A.G. Michels, (Eds.) (in press), Legitimacy of Unbelief: The Collected Papers of Piet Hein Hoebens. (Münster: Lit-Verlag). Hövelmann has published on a wide range of topics from dialect geography to manned space exploration and has extensive research experience in nonverbal communication, evolutionary theory, and philosophy and history of science. He recently served two consecutive terms as the Vice President of the Parapsychological Association, and he has been the owner and director of several firms. Bauer, E., Hövelmann, G.H. & Lucadou, W. von (2013). Von Scheinriesen [Pretended giants: On the recent history of German skepticism]. Zeitschrift für Anomalistik, 13, 89-129. 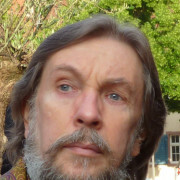 Hövelmann, G. H. (2012). Vom Nutzen der Grenzgebietsforschung für die Wissenschaft [On the utility of frontier research for science at large]. In Ambach, W. (Ed. ), Experimentelle Psychophysiologie in Grenzgebieten [Experimental Psychophysiology in Frontier Areas] (pp. 303-337). Würzburg: Ergon. Hövelmann, G.H. (2012). Aristoteles’ flüchtige Fliege [Aristotle’s fugitive fly]. Zeitschrift für Anomalistik, 12, 190-208. Hövelmann, G.H. (2010). Editorial: Historische Fallstudien zur Anomalistik [Editorial: Historical case studies in anomalistics]. Zeitschrift für Anomalistik, 10, 202-236. Hövelmann, G.H. (2008). Escape from Wonderland. In Roe, C., Kramer, W., & Coly, L., (Eds. ), Utrecht II: Charting the Future of Parapsychology (pp. 559-568). New York: Parapsychology Foundation. Hövelmann, G.H. (2007). The function of book reviews in anomalistics. Journal of Scientific Exploration, 21, 123-133. Hövelmann, G.H. (2005). Laienforschung und Wissenschaftsanspruch [Amateur research and science claims]. Zeitschrift für Anomalistik, 5, 126-135. Hövelmann, G.H. (2005). Devianz und Anomalistik – Bewährungsproben der Wissenschaft. Prof. Dr. Marcello Truzzi (1935-2003) [Deviance and Anomalistics – Performance tests for science]. Zeitschrift für Anomalistik, 5, 5-30. Krippner, S., & Hövelmann, G.H. (2005). The future of psi research: Recommendations in retrospect. In Thalbourne, M.A.. & Storm, L. (Eds. ), Parapsychology in the Twenty-First Century: Essays on the Future of Psychical Research (pp. 167-188). Jefferson, NC & London: McFarland. Hövelmann, G.H., & Schriever, F. (2004). Der leise Revolutionär: Prof. Dr. Robert L. Morris (1942-2004) [The silent revolutionary: Prof. Dr. Robert L. Morris (1942-2004)]. Zeitschrift für Anomalistik, 4, 6-13. Hövelmann, G.H. (2001). Was wissen wir, wenn wir Literatur erkannt haben? [What have we learned once we have identified experiential reports as literature?]. Zeitschrift für Anomalistik, 1, 23-29. Berger, A.S., Hövelmann, G.H. & Lucadou, W. von (1992). Spirit extras on video tape? The first field investigation. Journal of the Society for Psychical Research, 58, 153-164. Hövelmann, G.H. (1989). Parariteiten – Het belang van woorden bij het spreken over parapsychologie [The importance of the choice of words for talking about parapsychology]. Skepter, 2(2), 20-27. Hövelmann, G.H. (1988). Parapsychologists and skeptics ─ problems of identification. SRU Bulletin, 13, 125-132. Hövelmann, G.H. (1987). Max Dessoir and the origin of the word ‘parapsychology’. Journal of the Society for Psychical Research, 54, 61-63. Hövelmann, G.H. (1987). A constructively rational approach to parapsychology and scientific methodology. Zetetic Scholar, #12/13, 110-153. Hövelmann, G.H. (1987). “Please wait to be tolerated”: Distinguishing fact from fiction on both sides of a scientific controversy. Behavioral and Brain Sciences, 10, 592-593. Hövelmann, G.H. (1986). Beyond the Ganzfeld debate. Journal of Parapsychology, 50, 365-370. Hövelmann, G.H. (1986). Neglected figures in the history of parapsychology: Some general reflections. In Snel, F.W.J.J. (Ed. ): Liber Amicorum in Honour of G.A.M. Zorab. The Hague: Nederlandse Vereniging voor Parapsychologie, pp. 94-126. Hövelmann, G.H., Krippner, S. (1986). Charting the future of parapsychology. Parapsychology Review, 17(6), 1-5. Hövelmann, G.H. (1985). [with M. Truzzi & P.H. Hoebens]. Skeptical literature on parapsychology: An annotated bibliography. In Kurtz, P. (ed. ), A Skeptic’s Handbook of Parapsychology. Buffalo, N.Y.: Prometheus Books, pp. 449-490. Hövelmann, G.H. (1985). Evidence for survival from near-death experiences? A critical appraisal. In Kurtz, P. (Ed. ), A Skeptic’s Handbook of Parapsychology. Buffalo, N.Y.: Prometheus Books, pp. 645-684. Hövelmann, G.H., & Zorab, G.A.M. (1985). The Kern City Poltergeist: Some critical remarks on the quality of the evidence and the arguments. Journal of the Society for Psychical Research, 53, 87-92. Hövelmann, G.H. (1984). Against historicism. Critical remarks on Thomas Kuhn’s conception of science and its reception in parapsychology. Journal of Parapsychology, 48, 101-119. Hövelmann, G.H. (1983). Cooperation versus competition: In defense of rational argument in parapsychology. European Journal of Parapsychology, 4, 483-505. Hövelmann, G.H. (1983). Seven recommendations for the future practice of parapsychology. Zetetic Scholar #11, 128-138. Hövelmann, G.H. (1983). Parapsychologen und das Irrationale [Parapsychologists and the irrational]. Zeitschrift für Parapsychologie und Grenzgebiete der Psychologie, 25, 91-105. Hövelmann, G.H. (1982). Involuntary whispering, conversational analysis, and electronic voice phenomena. Theta, 10, 54-58. Hövelmann, G.H. (1980). Kooperation und Konkurrenz im wissenschaftlichen Schrifttum der Parapsychologie [Cooperation and competition in scientific writing on parapsychology]. Zeitschrift für Parapsychologie und Grenzgebiete der Psychologie, 22, 143-156. Zingrone has served as President of the Parapsychological Association twice and is currently a Research Fellow at the Parapsychology Foundation. She has held other positions, among them Assistant Professor of Research at the Division of Perceptual Studies of the University of Virginia (2003-2011), and a Research Fellow (1982-1985), and a Visiting Scholar (1986-1993, 2013-2014) at the Institute for Parapsychology (now the Rhine Research Center). 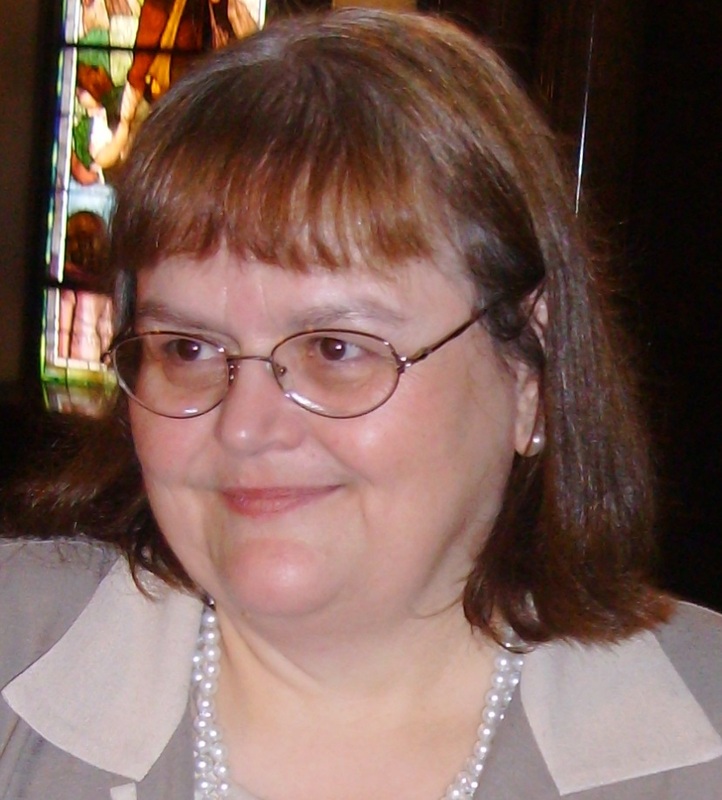 Zingrone has conducted experimental ESP research, survey research on psychic experiences, and worked on controversy in parapsychology from a science studies point of view. In recent times Zingrone has been the main coordinator of online educational efforts in parapsychology. These have included an online conference: “Parapsychology and Psychology: Research and Theory” (2014) and the ParaMOOC2015 (MOOC being short of massively open online course) “Parapsychology and Anomalistic Psychology: Research and Education” 2015). The course is still receiving registrants having from around 800 at the close of the live lectures to 937 today. (in press). (Second author, with Alvarado, C.S.). Features of out-of-body experiences: Relationships to frequency, willfullness of and previous knowledge about the experience. Journal of the Society for Psychical Research. (in press) (First author, with C.S. Alvarado, & G.H. Hövelmann). An overview of modern developments in parapsychology. In E. Cardeña, J. Palmer, & D. Marcusson-Clavertz, (Eds.). Parapsychology: A Handbook for the 21st Century. Jefferson, NC: McFarland. (in press). (Second author, with Alvarado, C.S.). Note on the reception of Théodore Flournoy’s study of “Hélène Smith.” Journal of the Society for Psychical Research. (2012). (Second author, with C.S. Alvarado). Classic Text No. 90: ‘The Pathology and Treatment of Mediomania’, by Frederic Rowland Marvin (1874). History of Psychiatry, 23, 229–244. (2010) (First author, with Alvarado, C.S., & Cardeña, E.) Out-of-body experiences, physical body activity and posture: Responses from a survey conducted in Scotland. Journal of Nervous and Mental Disease, 198, 163-165. (2009) (First author, with C.S. Alvarado, and N. Agee). Psychological correlates of aura vision: Psychic experiences,dissociation, absorption, and synaesthesia-like experiences. Australian Journal of Clinical and Experimental Hypnosis, 37, 131-168. (2009) (First author, with C.S. Alvarado). Pleasurable Western adult near-death experiences: Features, circumstances and incidence. In J.M. Holden, B. Greyson, & D. James (Eds. ), The Handbook of Near-Death Experiences (pp. 17-40). Santa Barbara, CA: Praeger. (2008) (Second author, with C.S. Alvarado). Ian Stevenson and the modern study of ESP experiences. Journal of Scientific Exploration, 22, 44-53. (2007-2008) (Second author, with C.S. Alvarado). Interrelationships of psychic experiences, dream recall and lucid dreams in a survey with Spanish participants. Imagination, Cognition and Personality, 27, 63-69. (2006) Complicating the conversation: Rhetoric, substance, and controversy in parapsychology. Journal of Parapsychology, 69, 3-21. (2003) (Second with C.S. Alvarado). Exploring the factors related to the aftereffects of out-of-body experiences. Journal of the Society for Psychical Research, 67, 161-183. (2002) Controversy and the problems of parapsychology. Journal of Parapsychology, 66, 1-30. (1999) (Second author, with C.S. Alvarado). Out-of-body experiences among readers of a Spanish New Age magazine. Journal of the Society for Psychical Research, 63, 65-85. (1998-99) (Second author, with C.S. Alvarado & K.S. Dalton). Out-of-body experiences: Alterations of consciousness and the Five-Factor Model of personality. Imagination, Cognition andPersonality, 18, 297-317. (1998-99) (First author, with C.S. Alvarado & K. Dalton). Psi experiences and the “Big Five”: Relating the NEO-PI-R to the experience claims of experimental subjects. European Journal of Parapsychology, 14, 31-51. (1998-99) (Second author with C.S. Alvarado). A study of the features of out-of-body experiences in relation to Sylvan Muldoon’s claims. European Journal of Parapsychology, 14, 89-99. (1998) (Second author, with C.S. Alvarado). Anomalías de interacción con el ambiente: El estudio de los fenómenos parapsicológicos [Anomalies of interaction with the environment: The study of parapsychological phenomena]. Revista Puertorriqueña de Psicología [Puerto Rican Journal of Psychology], 11, 99-147. (1997-1998) (Second author, with C.S. Alvarado). Factors related to the depth of near-death experiences: Testing the“embellishment over time” hypothesis. Imagination, Cognition and Personality, 17, 339-344. (1994). Images of women as mediums: Power, pathology and passivity in the writings of Frederic Marvin and Cesare Lombroso. In L.Coly & R.A. White (Ed. ), Women and Parapsychology (pp. 90-121). New York: Parapsychology Foundation. (1994) (Second author, with C.S. Alvarado) Individual differences in aura vision: Relationships to visual imagery and imaginative fantasy experiences. European Journal of Parapsychology, 10,1-30. (1989) (Second author, with D. H. Weiner). In the eye of the beholder: Further research on the Checker Effect. Journal of Parapsychology, 53, 203-231. (1988) Authorship and gender in American parapsychology journals. Journal of Parapsychology, 52, 321-343. (1987) (Second author, with Carlos S. Alvarado). Historical aspects of parapsychological terminology. Journal of Parapsychology, 51, 49-74. (1986) (Second author, with D. H. Weiner). The Checker Effect revisited. Journal of Parapsychology, 50, 155-161.